Heya heya, the moment all of you have been longing for is finally here! Step by step, EatSleepBet Casino is uncovering the most popular games of our game providers and today is the day to concentrate on one of the biggest beasts amongst the gaming market – NetEnt! The most wanted online casino slot list is here to be revealed, so get ready for the chosen ones! It has been almost 500 years from the moment when a Spanish fleet packed with eager explorers reached the undiscovered coast of distant Peru. At that time, a wicked plan came to Gonzalo´s greedy mind, a plan to find the immense treasure of the mythical El Dorado on his own! Do you wanna follow him on this NetEnt adventurous online casino game with 20 fixed bet lines? Then hurry up, he has already sneaked out from the ship and from now on only traces in the sand can lead you to the lost city of gold! In this popular NetEnt video slot with 5 reels in 3 rows, the massive blocks painted with diverse human or animal portraits fall down the reels with no limit! You will barely find a better online casino slot provided by NetEnt with an avalanche mechanism! Gonzo´s Quest offers you a unique gaming experience, hand in hand with a great amount of multipliers, Free Fall Feature and usual Wild Substitution increasing your winning chances to maximum! Let´s confess that if there is one game which surely deserves to be a part of the NetEnt TOP games chart, we would hardly find a better aspirant than Starburst! This well known casino game became widely popular with EatSleepBet players especially thanks to our Welcome Bonus package, which rewards newbies with some Starburst free spins after their initial deposit. 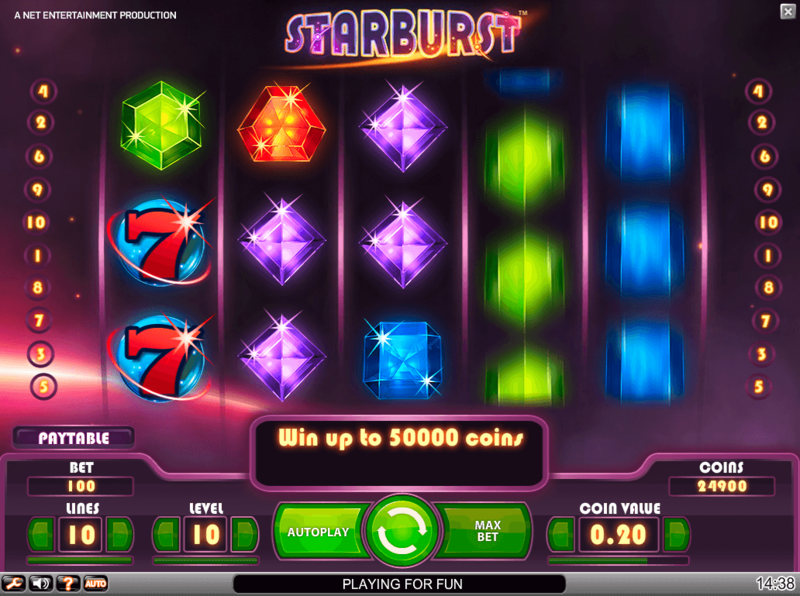 Allthough we went through the description of this online casino slot properly in the past article Starburst - What's all the fuss about (for sure you read it and if not, better do it now;)), let us just remind you shortly of 3 rows of shiny colourful differently shaped diamonds placed on 5 reels. Any lucky player has a great chance of activating up to 3 re-spins everytime he gets Wild symbol on 2nd, 3rd or 4th reel. This Wild symbol, depicted as a rainbow colored star has the power to substitute any symbol on the reels, so there really are chances of extreme wins! Now you understand for sure, why all the EatSleepBet players get crazy because of Starburst, the timeless online casino game! Have you just heard a young boy screaming? It must have definitely been Jack, with his pockets full of gold, running away from a two-headed giant, who rules the world on the top of the Beanstalk! Yes, this is exactly what the Jack and the Beanstalk online casino slot is all about, giving you a chance to become super rich in a fast and exciting way! This fabulous NetEnt 5 reel slot with 3 rows contains a unique feature called Walking Wild that provides the keen player with up to 4 free spins, moving to the leftmost reel after each of the re-spins until it disappears. However, the absolutely fantastic feature of this video slot is the Treasure Collection, which allows Jack to collect the treasures of the giant´s castle, all of them promising other awesome wins! Just hit on this NetEnt online video slot and get the most out of it! Wanna know more online casino games created by NetEnt? Check our EatSleepBet Casino website regularly, part 2 is about to come!